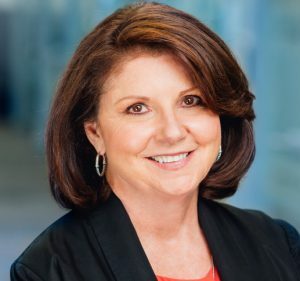 Stellar Partners, Inc. founder & Chief Executive Officer (CEO) Susan Stackhouse is retiring after leading the company for 30 years and Padraig Drennan, President and Chief Operating Officer (COO) since 2017, will take over the role of President and CEO for the organization. “I am proud of Stellar’s success over the years. Now the time is right for me to step down. We recruited Padraig for this role because of his years of retail management experience. The company has grown under the leadership of a seasoned executive team and is poised to do great things in the industry with Padraig at the helm,” said Susan Stackhouse. Padraig Drennan is a veteran of the travel retail industry with an extensive career encompassing over 25 years of retail experience and over 10 years in airport retail, most recently as President and COO of Stellar Partners, Inc. 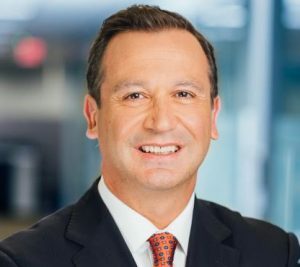 Prior to that, Drennan was COO of DFASS Group and also served as President of World Duty Free North America where he was responsible for that company’s three segments, News & Gifts, Duty Free, and Specialty Retail. Drennan has also held the position of Chief Financial Officer of World Duty Free UK. Padraig Drennan has held management positions with Marks and Spencer, Gap, and Disney Stores, after starting his career with Arthur Anderson. Drennan serves on the Board of the International Association of Airport Duty Free Stores. Susan Stackhouse started Stellar Partners, Inc. with one duty free store at Tampa International Airport over 30 years ago and led the company to its current position as a top airport retailer in the country. During her career, she has served at the local and national level for economic development and airport concessionaire organizations in roles such as: Vice President for the International Association of Airport Duty Free Stores; Greater Tampa Chamber of Commerce Executive Committee; Board of Trustees of University of Tampa, and Chairwoman of the American Heart Association’s Go Red for Women campaign. Susan is a respected member of the Tampa Bay business community, as well as the airport concession industry and was named the 2015 Business Woman of the Year by the Tampa Bay Business Journal. Drennan will continue to reside in Tampa, where Stellar is headquartered.